Yes, the person—a State Department Foreign Service Officer—-in charge of a consulate. (A consul general is in charge of a consulate general, which is a bigger State Department mission but not an embassy.) Oh, you don’t know who was the U.S. consul in Benghazi at the time of the 2012 attack? I’ll save you the trouble of looking it up: There wasn’t one. Some follow-up questions: Do you have any State Department e-mails, phone calls, or radio messages signed by the consul at that time? Any requests to replace a lost passport or register a marriage or other standard work that a consulate does? No, of course not, because this was not a consulate like other consulates. Where were the consul’s living quarters? Yes, where did the U.S. consul live? Were they in the consulate compound itself, or somewhere else? I’ll save you the trouble of looking it up: If there were living quarters designated for an eventual U.S. consul in Benghazi, they were unoccupied. Were any personal effects recovered after the attack? You say a consul had been planned or designated but, in the interests of security, he had not yet taken up residence in Benghazi. And what was his (or her) name and previous postings? Was this a real appointment or a straw one, a placeholder to make it look right? If the point is not yet clear: There was no consul because Benghazi was not a real consulate. 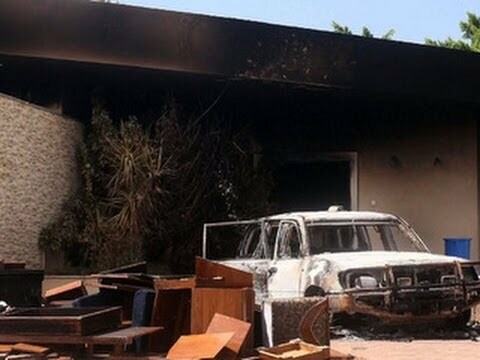 It was a front for the Central Intelligence Agency’s efforts in Benghazi to carry out two worthwhile missions: Get the names and structure of the extremist forces operating in Benghazi—chiefly the Al Qaeda affiliate Ansar al-Sharia (Partisans of Sharia)—-and seize or buy up the vast amount of weaponry freed by Gaddafi’s 2011 overthrow, weapons that indeed contributed to the Islamist rebellions in Mali and the Central African Republic (and maybe even Boko Haram in Nigeria). Stevens was a real State Department official. The other three followed the typical CIA pattern of hiring highly trained U.S. military personnel. The problem here is the drastically insufficient protection to secure the mission, whether you wish to call it State or CIA, a problem found in many parts of the world. Was Secretary of State Clinton derelict in not demanding such protection? Sure, she and many officials were living in a dream world, supposing that a handful of operatives could keep tabs on radical Islamists without them figuring out that they were the targets and striking back. And Congress has always been tight-fisted in funding physical security for U.S. missions. Only the gigantic, newly constructed U.S. embassy in Baghdad is physically secure—and it’s nearly empty. If you’re going to fight a war in the shadows, at least go armed. Now we move on to the broader questions: State, are you sure you want to serve as a front and subordinate to the CIA? That’s not your original purpose. You should be a calm and somewhat detached observer, able to take the long view rather than second CIA decisions on immediate policy. Sure, we all want to fight terrorism, but we must distinguish between the tactical here-and-now fight and the broad strategic overview of how, in the long run, do we curb or outlast the current binge of Islamist rage. At present, no Washington officials play this latter role, or at least none that are listened to. In short, organizational boundaries have dissolved, what political scientists used to call “poor boundary maintenance,” a precursor to political chaos. Agencies no longer do what they were designed to do. The Defense Department (in Guantánamo and elsewhere) has turned itself into a quasi-judicial branch and (in Afghanistan and elsewhere) into a nation-building arm. The Agency has turned itself into a special-forces operation. And State has turned itself into a front for both the CIA and DoD. In addition to restoring organization missions and boundaries, we must also face the unhappy truth that for every Libya there will be a Benghazi. Our finest intentions will come back to bite us. It comes with the territory. Save Somalia from the warlords? Then expect a “Blackhawk Down.” Save Afghanistan from the Taliban? Did anyone pause to think that the real enemy might be Pakistan, whose ISI founded and funds the Taliban and who hid Osama bin Laden? Save Iraq from a beastly dictator? Then expect a Fallujah and an Abu Ghraib. Obsession with short-term success has left us blind to longer-term consequences. MICHAEL G. ROSKIN was Professor of Political Science at Lycoming College 1972-2008 and authored five political science textbooks. Professor Roskin earlier worked as a newsman and foreign service officer for the U.S. Information Agency before earning a Ph.D. in international studies at American University. He was a Fulbrighter at the University of Macau on 2008-09.